WESTWOOD is situated on the edge of the village of Great Broughton, 3 miles from the Georgian Gem Town of Cockermouth, which boasts Wordsworth House, Jennings Brewery, Cockermouth Castle and a most attractive town centre. 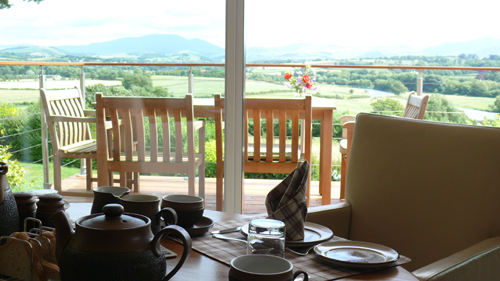 We enjoy magnificent views over the River Derwent to Cockermouth and the Lake District mountains. 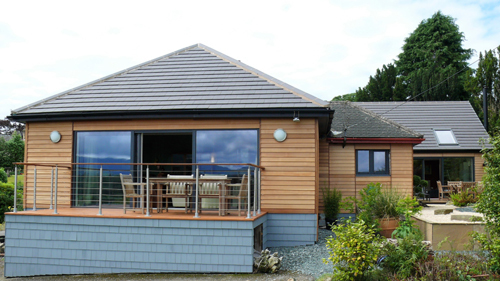 Set in its own grounds with visitor specified parking, WESTWOOD offers two individually and tastefully decorated double rooms (both en-suite) with tea and coffee-making facilities, a spacious lounge, adjacent reading room and a large decking area with panoramic views down the valley. We provide a generous English and Continental breakfast to give you a great start to explore all the interesting sights, towns, castles, historic houses and gardens as well as the wonderful scenery to be discovered and enjoyed in the Western Lake District.